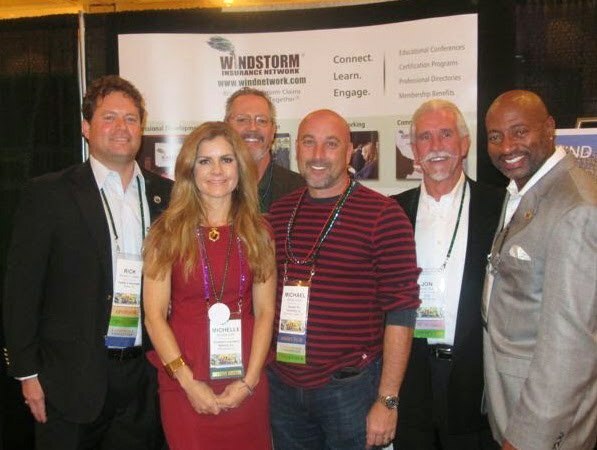 ​The Windstorm Insurance Network (WIND) is a professional association and annual conference formed in 1999 to bring together both defense and policyholder professionals to connect, learn, and engage on important topics in the property and windstorm insurance claims industry. ​We are the only professional association to bring together both defense and policyholder professionals to connect, learn and engage on important topics in the property/windstorm insurance claims industry. ​Our focus is to provide first-class professional development/continuing education events, member networking, and credential programs to enhance the property/windstorm insurance claims professional. ​We invite you to learn more about us, connect with us, and join your fellow property/windstorm insurance claims professionals who make up the Windstorm Insurance Network. ​To promote awareness of property and windstorm insurance claims issues through the application of educational initiatives, shared member resources, and credential programs designed to support and improve the professional delivery of property and windstorm-related insurance claims services. Each member shall strive at all times to live by the highest standards of professional conduct and shall strive to maintain and uphold a standard of honor and integrity that will reflect credit on our profession and the Windstorm Insurance Network. Other professions whose responsibilities and duties are directed toward windstorm and property insurance issues. ​We invite you to become a part of the WIND Community, the first and only association serving both defense and policyholder professionals in the property/windstorm insurance claims industry. Note: Logos are based on the current year membership status. Subscription to email update, WIND News to Use (new update coming soon). To pay by check, please use the pay online button on the online membership application. Your credit card information will not be used or accessed for any other function. We accept American Express, Discover, Mastercard, Visa. To pay by check, please use the generate invoice button on the online membership application and submit the application form with check or credit card information. Mail to: Windstorm Insurance Network, Attn: Membership, 2929 Langley Avenue, Ste. 203, Pensacola, FL 32504. ​Dues are not refundable, cannot be prorated, and are good from one year from date of joining. ​Contact WIND at 850.473.0601 or info@windetwork.com.